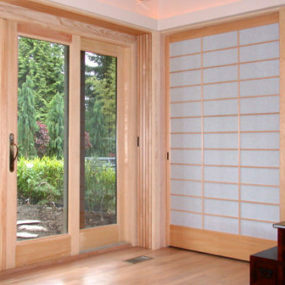 Home Designing starts us off with a gorgeous wooden door built with contemporary style in mind. 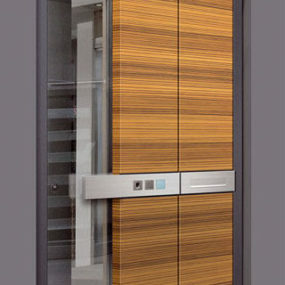 It’s got a slight industrial vibe as well, perfection for modern homes with a masculine, clean vision. 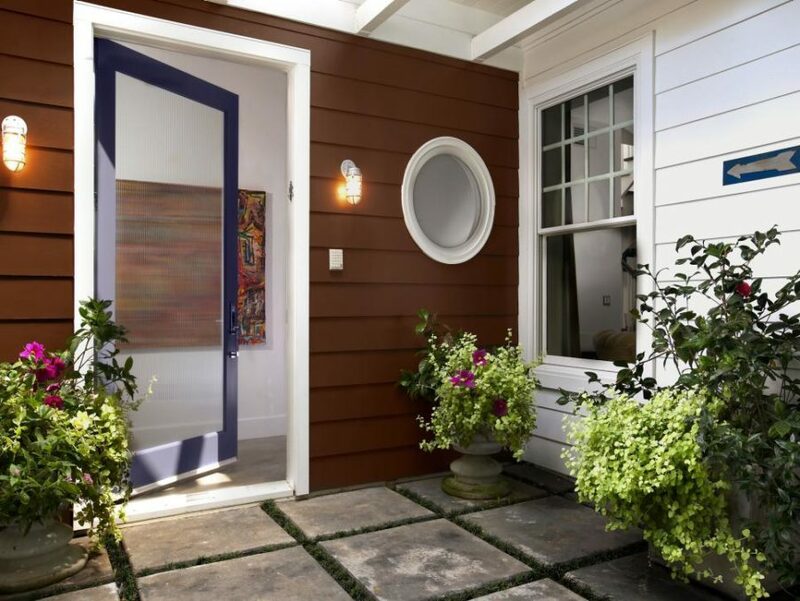 Over at HGTV, we find a blue-framed glass door that’s hard not to swoon over. Again, we find ourselves looking at a piece that’s contemporary but it does well fitting into a more traditionally-styled home. 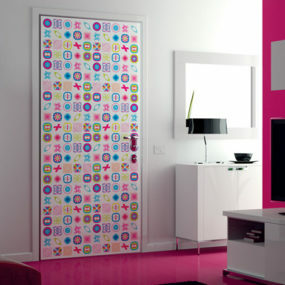 If you do the right kind of shopping, you can find a door that speaks to your more artistic side. 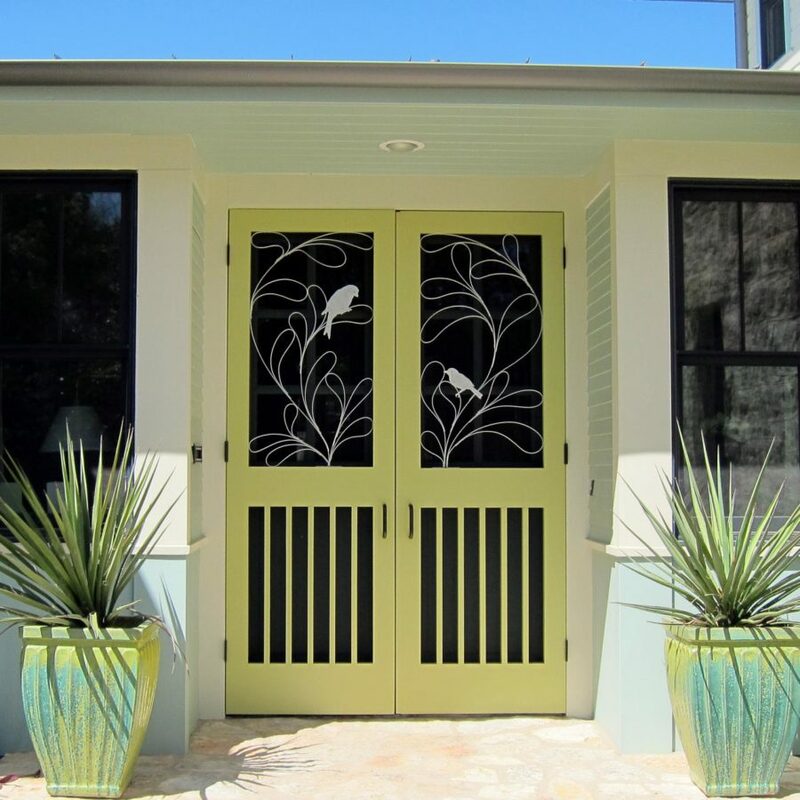 Just check out this stunner featured over at HGTV, it fits perfectly into a home with tropical touches. 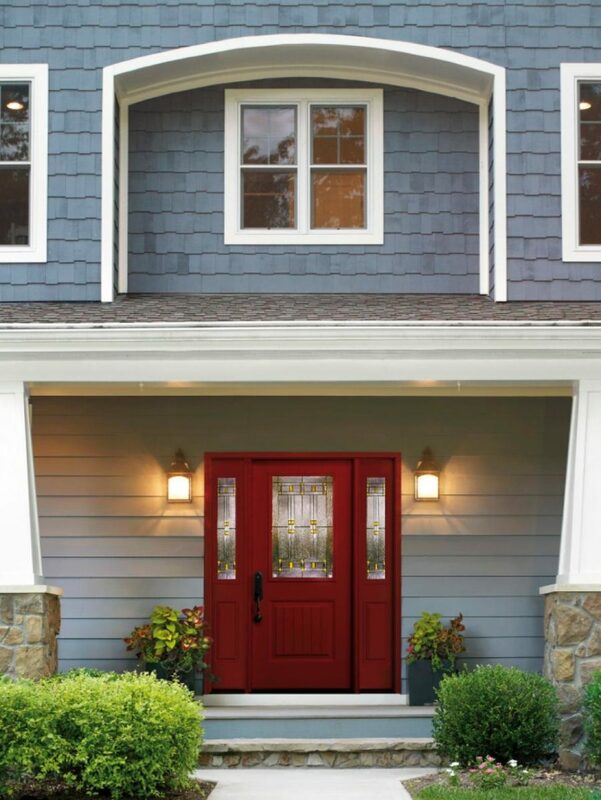 Design Rulz shows us another great example of how a new coat of paint can transform the face of your home. 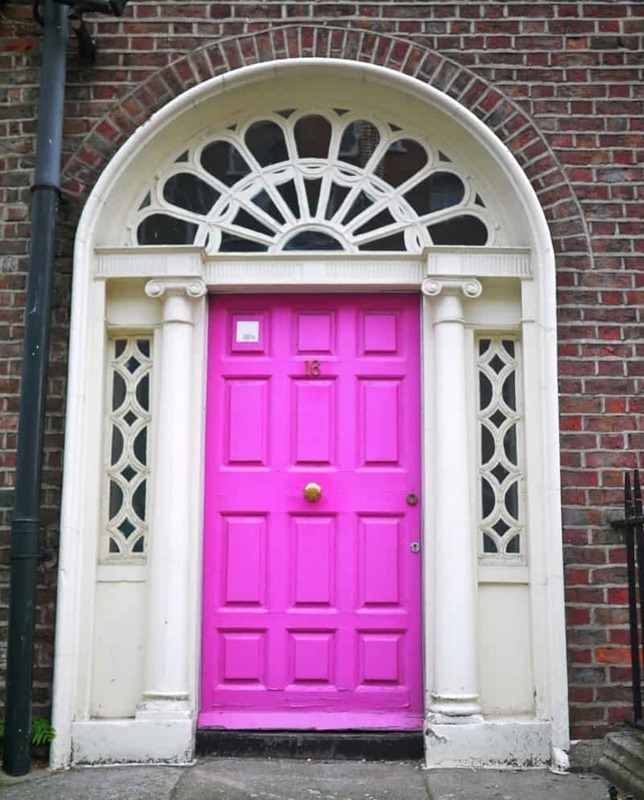 A dash of hot pink will certainly add a new wave of femininity and glam. 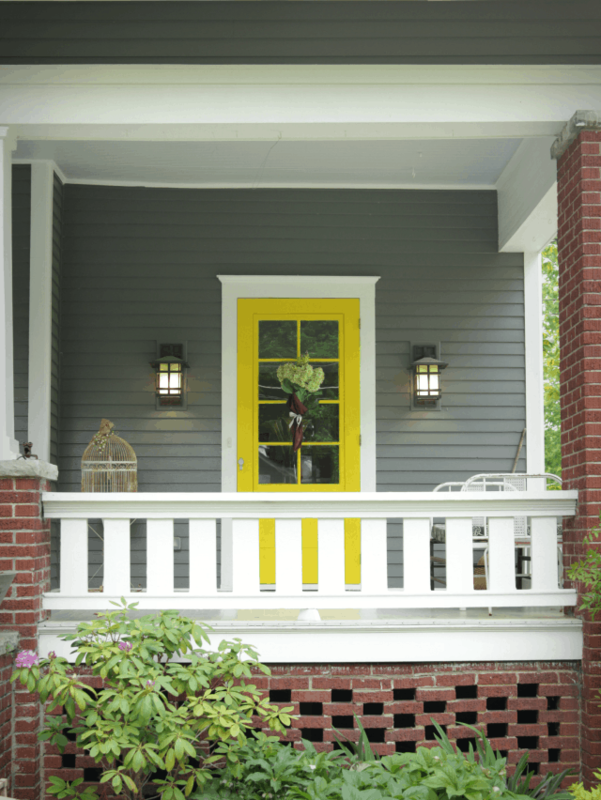 The Decor Fix shows off this yellow stunner. 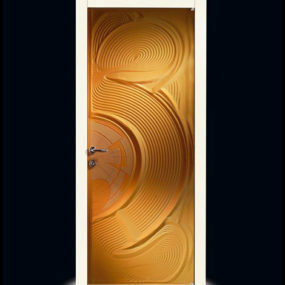 It’s a contemporary door design but that shade of sunshine will put an extra pep in the step of any guests that walk through the door. 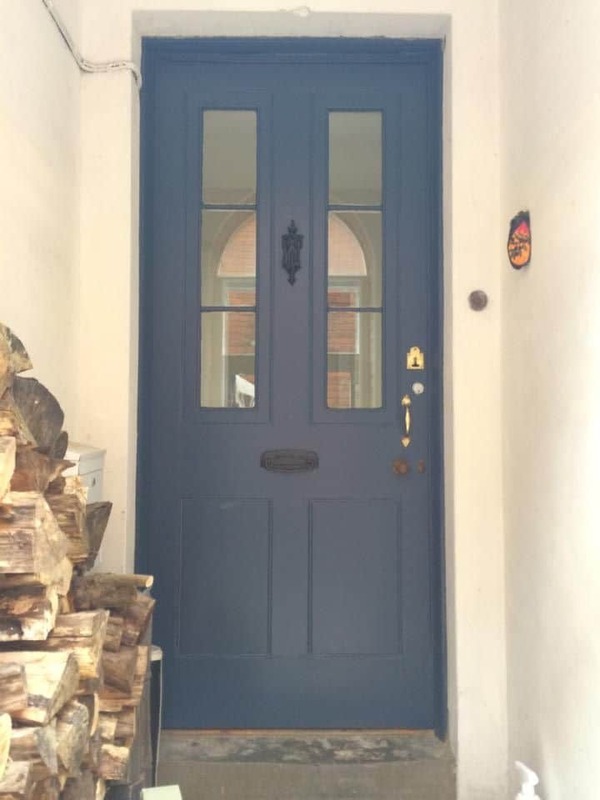 Of course there are lots of great bits of inspiration on Pinterest, like this gunmetal blue door. 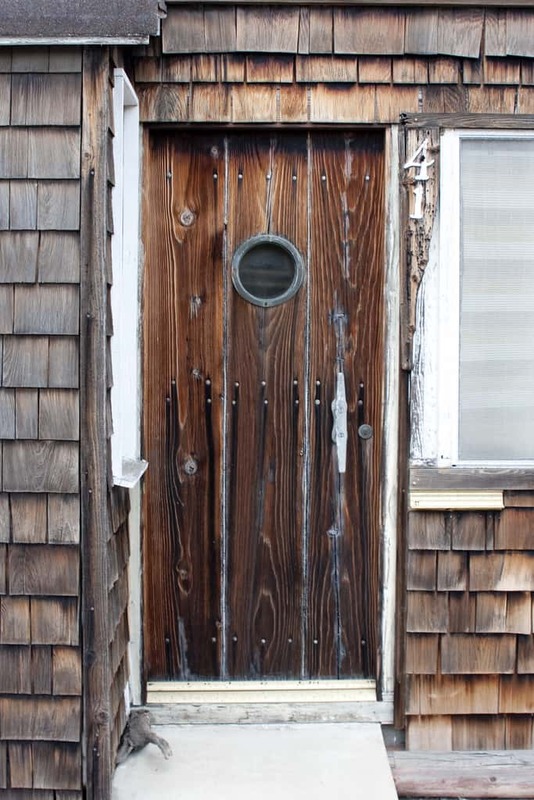 It’s a beautiful makeover for a house with rustic charming and a welcoming ethos. 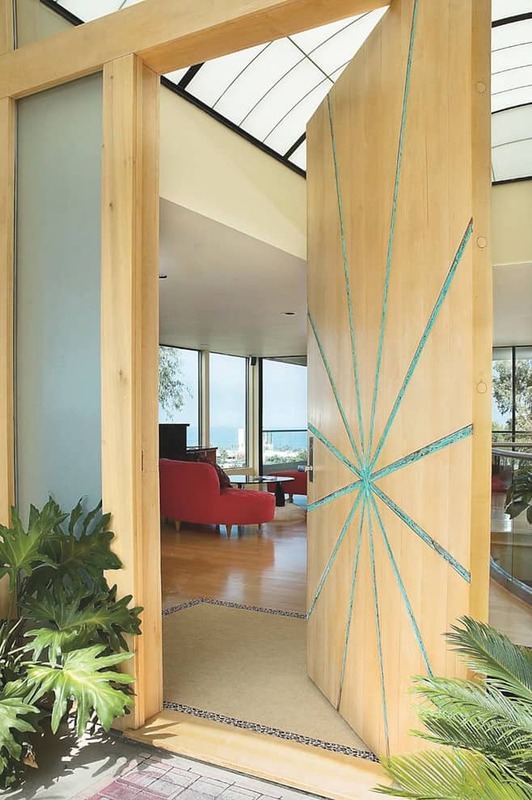 Shelterness featured this natural wooden design. We love how it’s become a functional piece of the home but also a piece of art that blends right into the home’s organic beauty. 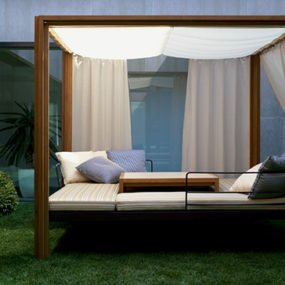 Over at Home Designing, you’ll find this contemporary piece. 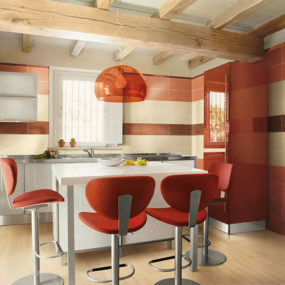 With a starburst accent and a subtle, artistic vibe, you get something that’s completely unique to your home. It’s a great idea to spring from as well. 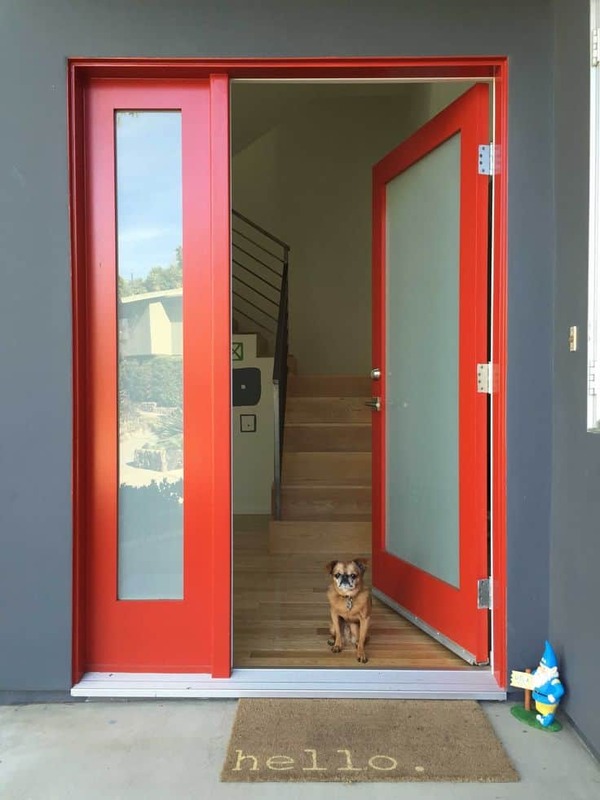 Red doors can quite a bit of fun and that splash of color can make the front of your home look brand new again. 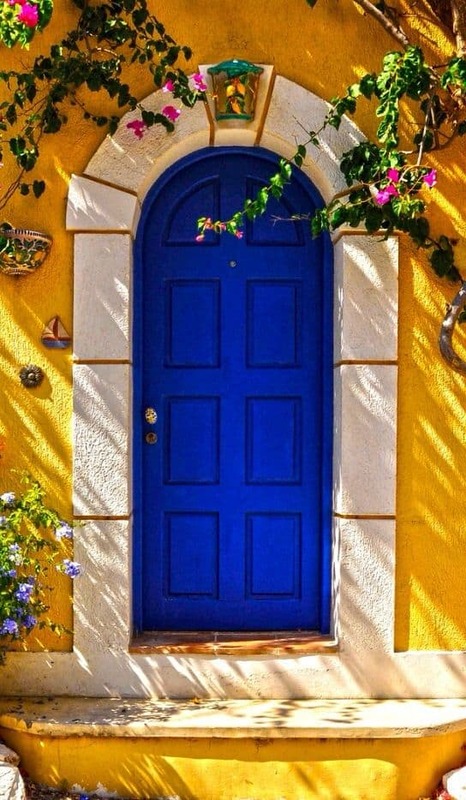 Find more inspiration like this on Pinterest! 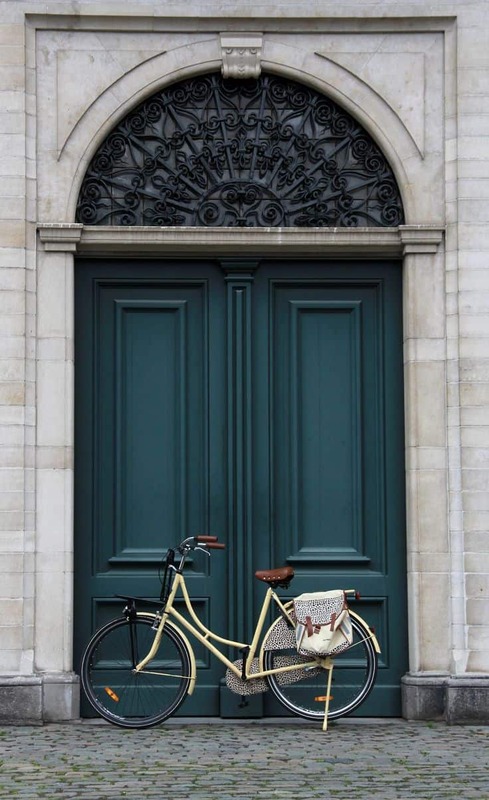 Here’s another bit of inspiration from Pinterest that we’re loving too. 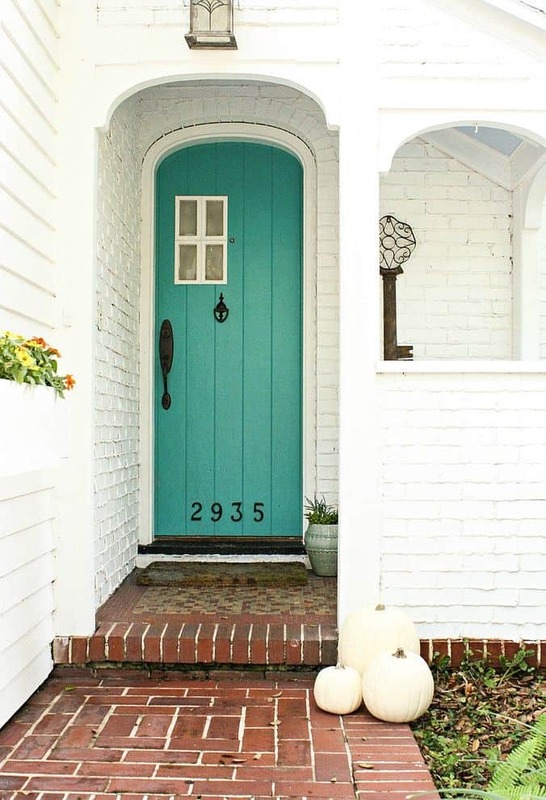 It’s got a cottage personality and that turquoise looks beautiful up against the creamy brick. 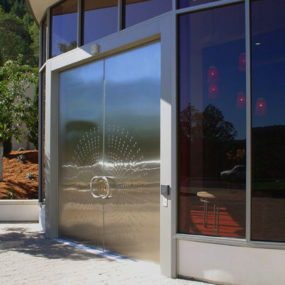 Check out this front door design that we found featured over at Lushome! 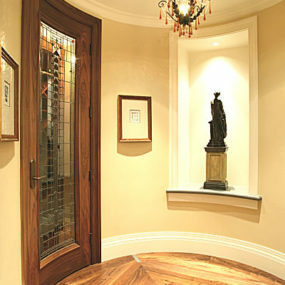 Why not add a bit of stained glass to your home? And that robin’s egg blue isn’t too bad either. Postcards from the Fridge gave us this more traditional design to peek at. We love this steely blue shade but we love the industrial hardware that compliments it as well. Becky Owens knows that you can’t go wrong with emerald green either. 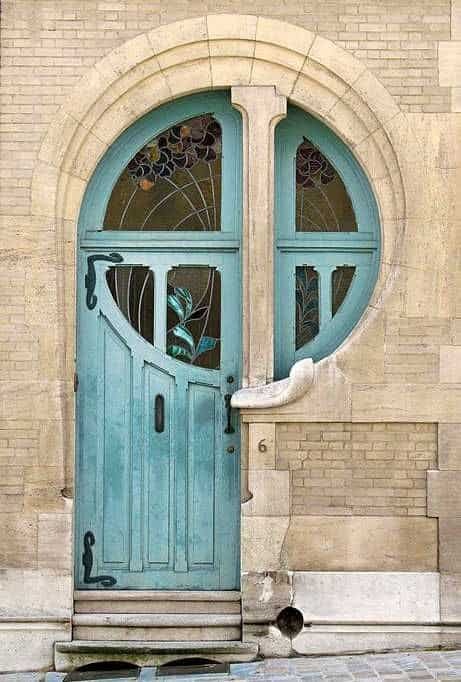 But more importantly, look at the actual design of the door and it’s geometric shaping. 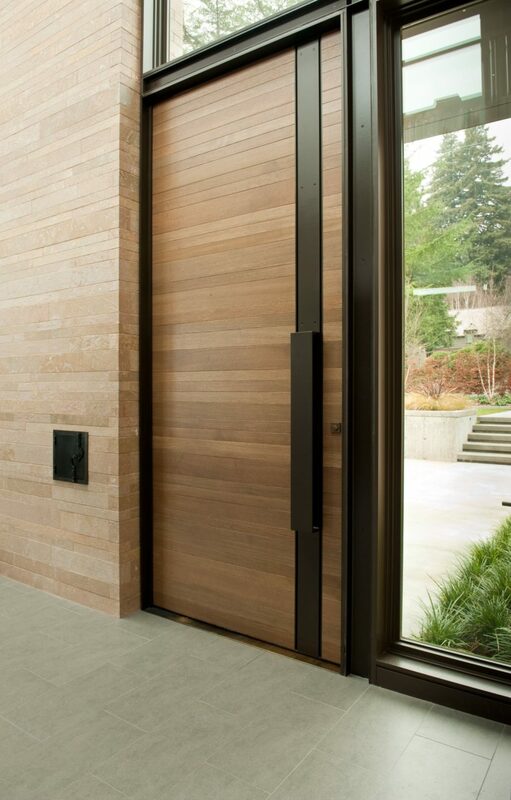 The best of both worlds come together in this door design. 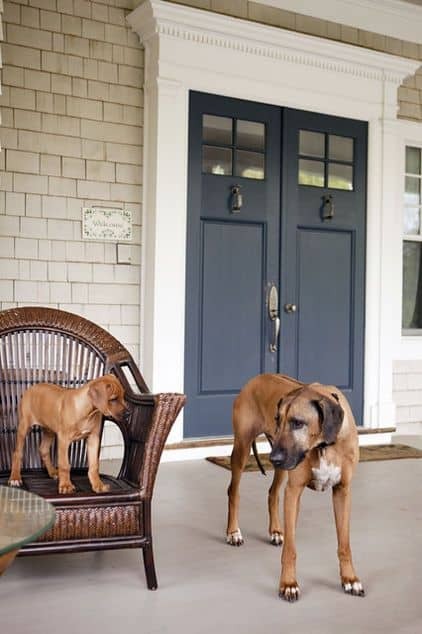 Over at Southern Living, you’ll be able to see these bit of inspiration; ones that including traditional accents with contemporary twists. Thankfully, for Flickr we found this stunning royal blue number. 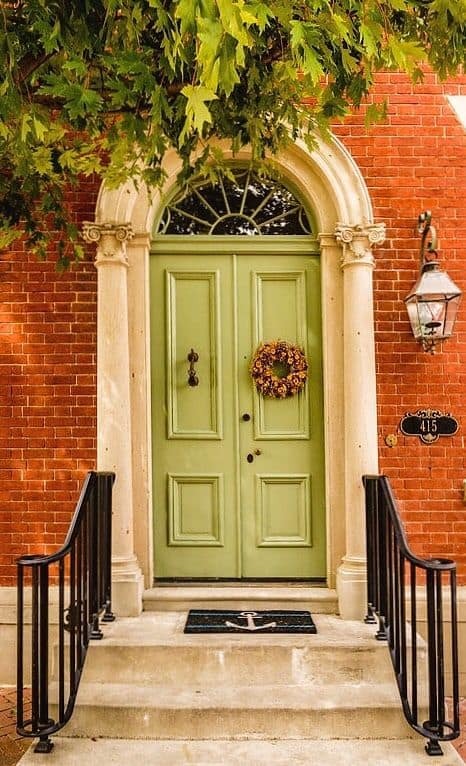 Of course, it looks great complimenting a yellow foundation but it looks great against traditional, red brick as well. 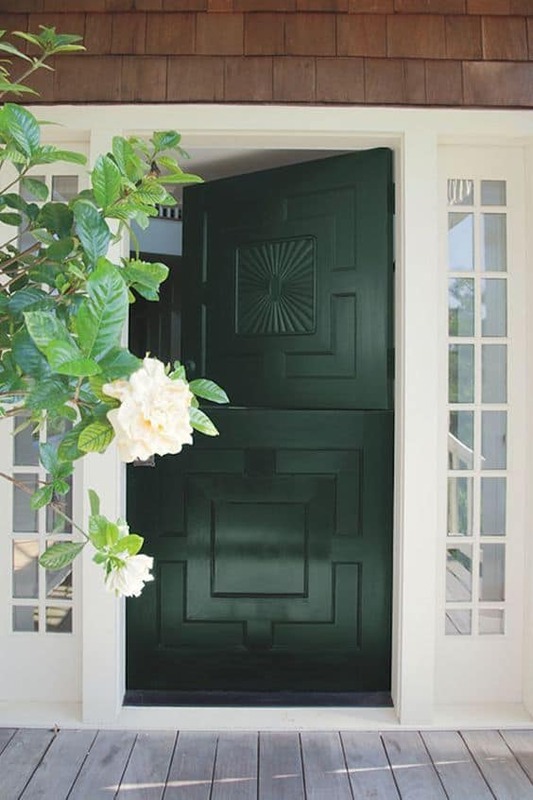 Fine Art America showcased a sage green door with a subtle, Victorian edge. Between the metal banister and the hardware, there’s something that speaks to our antique-loving hearts with this design. 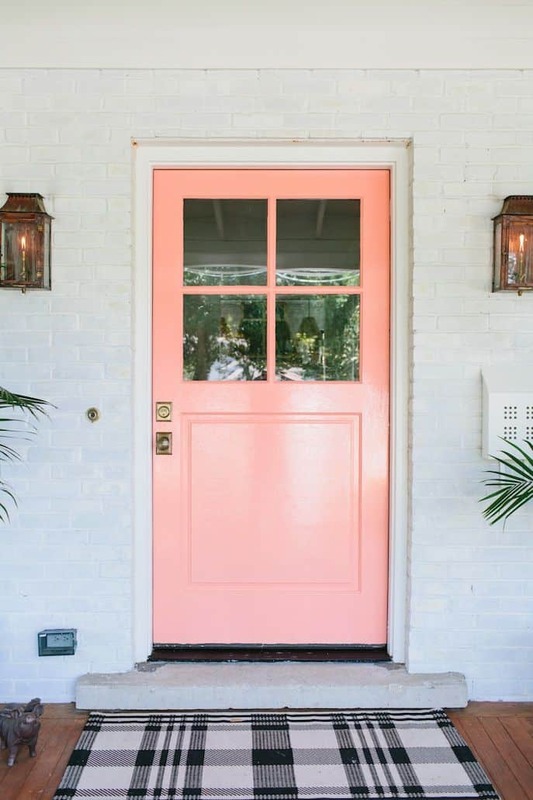 Subtle pink could be the door makeover that you need. 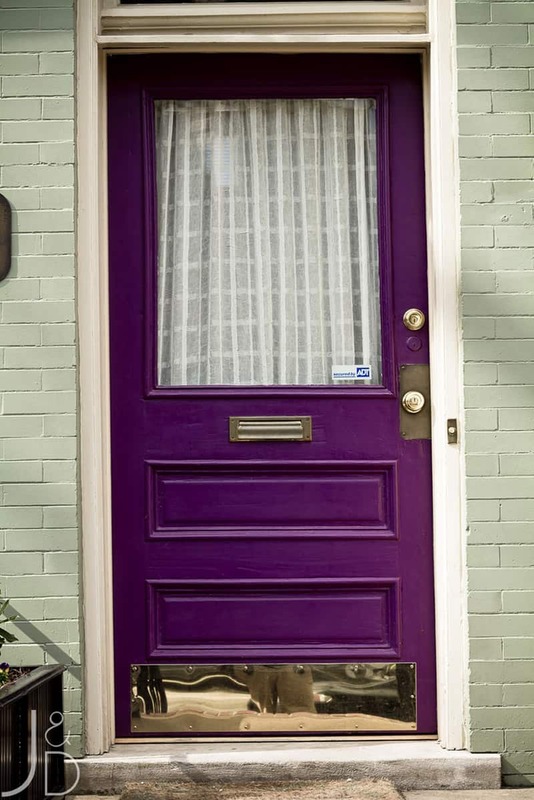 Add some personalized personality to your front by using this bit of inspiration we found over at Pinterest. And finally, if you visit HGTV just one more time, you’ll get a deeper glimpse at this cranberry piece. 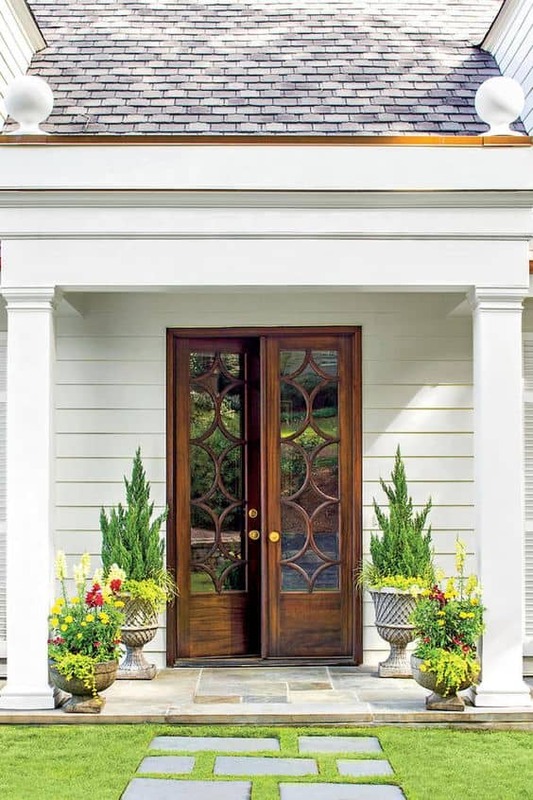 We’re loving the mix of traditional, front door design with its deep, rich tones.